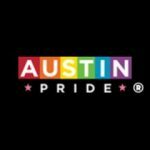 If you live near Austin, Texas, or reside in the lesser 49, we want to invite you to our first Austin Pride Outreach and Training on August 27. We will drive/carpool to the parade immediately afterward. It is vital that we get to the parade at least 90 minutes ahead of time to get tracts into the hands of parade-goers before it starts. For a helpful list of resources in dealing with the gay community, I have blogged over 40 articles/videos that will help educate you on how to be a sensitive communicator. Click here to access them. We are not going there to condemn, judge, or shake fingers in people’s faces. Our purpose is to communicate the love of Jesus Christ without compromising the message, but, doing so in a tactful and forthright manner. Church Labels: If you want to print your own church labels to put on the tracts, purchase Avery Easy Peel labels 1′ X 25/8″. you can get a quantity of 4,200 at Costco for pretty cheap. The template for your computer: Avery 5160 or 8160. Everyone should bring a backpack and water. We need volunteers to be the hands and feet of Jesus as we prepare to share the Good News of Christ to the LGBT community!!! My heart goes out to this community all the more because both my little brothers are homosexual. But this training session will teach Christians how to talk to folks in a loving way and share truth. Even if you don’t plan on doing the outreach I would love to have you take the training so that you will be ready if someone you love comes to you and tells you that they might be gay….. I had one young friend I witnessed to 1yr ago who thought he might be “bisexual” ask me for my thoughts and I said, “its not about what I think. its about what GOD said.” I took him out for a burger and we went over scripture and talked and prayed…. today, he knows God’s word pretty well and I praise God all the more that the young man is walking in purity. Pastor Steve Sanchez will be leading this event. He has done Gay Pride Outreaches in several other cities across the nation and this kind of outreach will require LOTS of LOVE, PATIENCE & KINDNESS and we will be providing a FREE 2 hr training session that will help us to speak the TRUTH & LOVE of JESUS!!! Will you partner with us? Pray about this and ask Christ what He wants you to do. We will train you – Christ breathing thru you by the Holy Spirit that lives in YOU!!! Its not about arguing or debating. If we can talk them into Jesus someone else can talk them out of Him! Its all about sharing the good news by the POWER OF GOD that saves!! !For Faith comes by hearing and hearing by the word of God. -Rom 10:17 We need to hand out thousands of gospel tracts and have God lead us to lots of conversations in LOVE for their souls…. Austin needs Christ soooooo much, for away from Him, there is only destruction. Help us to reach the lost! A 100yrs from now when our bodies are just dust……. we only want to see them in heaven. HE desires for none to perish and for all to come to the knowledge of the TRUTH!!! Please come even if you don’t feel led to attend the Parade Outreach. At least take the training. It will be awesome!! For His Kingdom and His Righteousness!! !